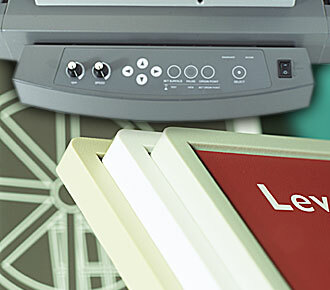 Scott Machine Development Corporation has been a quality manufacturer and supplier of user-friendly signmaking equipment and supplies for more than 40 years. Most of these proven products for the office, industrial, retail, educational, hospitality and health care industries are made in our state-of- the-art factory in the wooded countryside of upstate New York. Fully wired into the pulse of advanced communications, with high-speed Internet access, interactive service and the latest in multi-tasking technology, we offer rapid product delivery. Yet we never forget the value of personal service, with real voices and friendly people. That...along with our commitment to quality...has been our trademark for over four decades. Call Scott Machine through our toll-free phone number or e-mail us. Our knowledgeable staff is always available, and eager, to answer any questions. We accept American Express, Visa or Master Card, for your convenience. © 2006 Scott Machine Development Corp.
Scott®, AutoGraver®, Scott AutoGraver® and Scott-TriPoint® are registered trademarks of Scott Machine Development Corp.